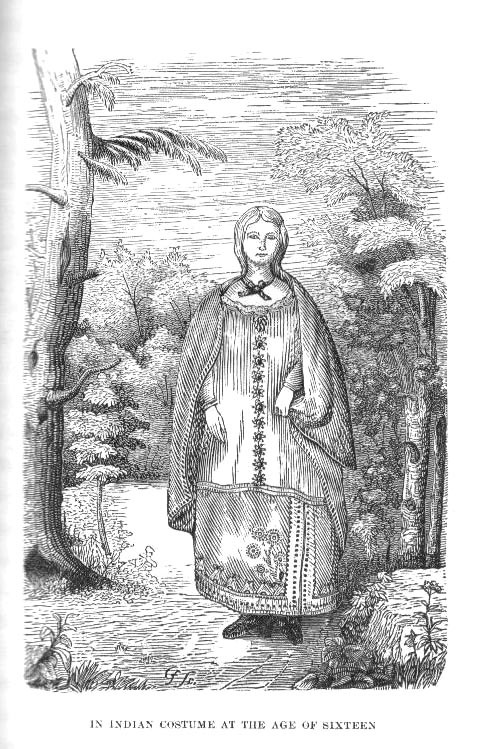 These two images of Mary Jemison, or Dehgewanus, appeared in an early edition of the famous work on the Seneca Captive. The top image is of the young Mary, a few years after she was captured. Although she still has a European look to her, the clothing makes it clear that her journey into the Seneca world is well underway. The artist did try to research the drawing - the sketch is very similar to the one of the Seneca Indian Girl found in Lewis Henry Morgan's League of the Iroquois, published five years earlier. The engraving below depicts Dehgewanus as an old woman. 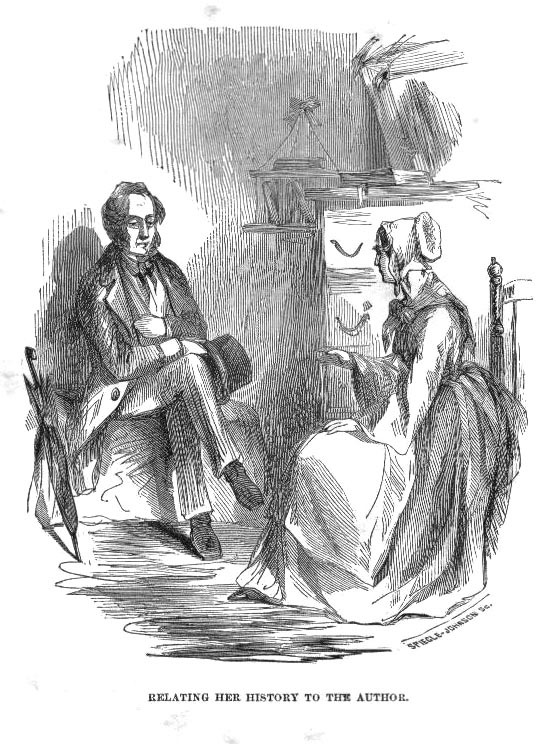 She is at Whaley's tavern, being interviewed by James Seaver in 1823. The view has Mary wearing the clothing of a white woman of the era and isn't very close to the description that Seaver wrote of her which he included in the introduction of the work. These and other images of Mary Jemison are not reliable sources if you want to know what she actually looked like. But they do provide insight into how the 19th century writers and artists saw her - what they felt were significant events or aspects to her life. Also see our Glimpse of Mary Jemison and another image of her at 90.